On Tuesday, per the Washington Post's master of the Senate Paul Kane, Mitch McConnell, 76, "will eclipse Robert J. Dole (Kan.) as the longest-serving Republican leader in Senate history." The details: McConnell has used "scheming, strategizing and tactical maneuvering to win five reelection campaigns and rise through the ranks." His tenure: 11 years, five months and 10 days. Kane describes McConnell's tenure as one "marked by extreme discipline and extreme paradoxes." Yes: "McConnell casts himself as a defender of the Senate as a unifying institution, determined to join its ranks from his days as a Capitol Hill intern." But: "Democrats deride him as the man who set fire to the Senate and wants credit for calling the fire department, only to now serve as an enabler of President Trump." 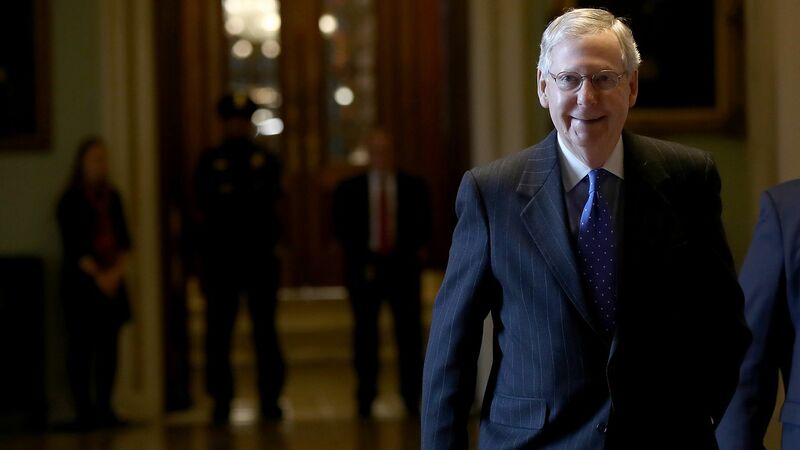 And yes: "McConnell has done as much to advance conservative causes as any Republican in the past 25 years, practically stealing the ideological balance of the Supreme Court and slashing tax rates to their lowest levels in decades." But: "Yet the most conservative activists deride him as a moderate establishment figure worthy of being portrayed as a villain in GOP primary campaigns."